FOR live STL blues, BB's Jazz, Blues & Soups is the grandad laureate. Opened in 1976, blues legends Roosevelt Sykes and Henry Townsend christened the former brothel with its very first live gig. Forty years later, BB's legacy of live music has blessed us with the best of both local and national talent. The 19th century flat still charms. The original hardwood floors and shotgun bar resonate a timeless mystique. Drawings of STL blues greats from Lonnie Johnson to Big Joe Williams warmly welcome patrons to both the bar and food tenderers. And the upstairs --- where those ill-reputed dames once bedded their johns --- has been fully renovated for weekend and special events. Late in 2009, owners Mark O'Shaughnessy and John May decided to record live music. The first was to be Lil' Dave Thompson. A blossoming national talent from Mississippi, Lil' Dave played stunning Albert King influenced guitar. But tragedy struck when he perished in a van wreck. With that despairing fate though, a local recording stretch gave birth. Big Mike Aguirre would be the first. Forming his Blu-City All Stars, their debut sparked a truly ascending note. The Ivas John Band played that forward, futher building their own national appeal. Eugene Johnson & Company rocked an excited and packed house with their funky, heartfelt soul-blues. And most recently, Big George Brock, the "Heavyweight Blues Champ", reminded us that even at 80, he still has to "keep his bedroom door locked". 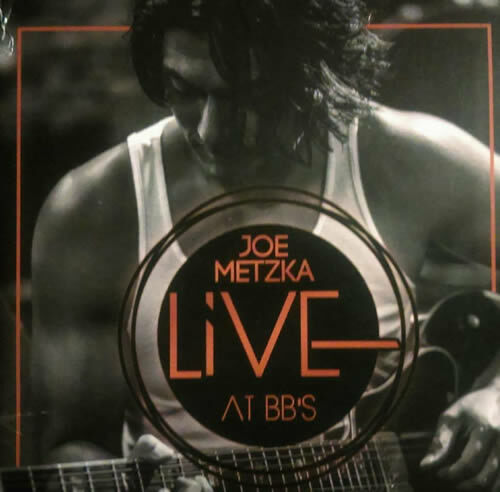 Say hello to Joe Metzka.